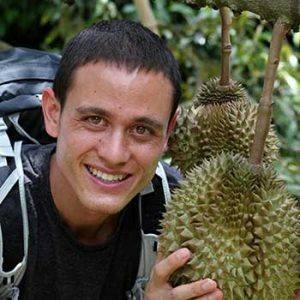 I follow several channels on YouTube and one of my favorites is food travel blogger, Mark Wiens. He loves to eat and he travels all over the globe to try new cuisine. His videos are fun to watch and he does an excellent job of explaining all of the delicious foods that he tries. Being a niche blogger myself, I became curious (as do many of his followers) about how he earns income to travel and eat. Fortunately, Mark has shared this information on his website as well as his YouTube channel. I am going to share how he earns income from his blog and how you can replicate the process yourself. Mark is a food travel blogger, vlogger, and author. He is based in Bangkok, Thailand with his wife and son. You can find all of his awesome food travel videos on his YouTube channel. He also authors his blog, called Migrationology.com. Although he has over 2.2 million YouTube subscribers, his online success began with his blog. Mark has always had a love for food and travel. However, his passion for both grew after graduating from college. It’s Easier to Blog About Something You Enjoy – I state this all the time. When choosing a niche, make sure it is one that you can talk about all of the time. Otherwise, you will get burned out and abandon your website altogether. You Do Not Need Technical Experience – Getting your own blog is easy and doesn’t require any technical background. Like many bloggers, Mark had no prior experience but was able to register a domain, get web hosting, and install WordPress using one-click installation. I explain how you can do the same below. You Don’t Have to Be a Great Writer – Don’t let the fear of writing prevent you from starting your own blog. Bloggers are followed for their casual writing style. Share your personality and have fun. Blogging is Fun and Creative – You are not limited by the words that you write. You can share the photos that you take as well as videos and podcasts on your blog. Let your website serve as home base for your audience. You Must Be Consistent – Content creators create content on a consistent basis. That is what leads to a successful blog. Although Mark’s videos display how much fun he is having traveling and eating, behind the scenes he is blogging and editing his videos. It is a non-stop process but the payoff is worth it. He gets to work for himself doing something he enjoys. Mark’s travel blog earns income in a variety of ways. One of the biggest benefits of having your own blog is that it allows you to use various monetization methods. If you are not familiar with affiliate marketing it is simply the process of referring products and services. You can promote another company’s products or services in exchange for a commission when a sale is made. In Mark’s case, he uses affiliate marketing to promote hotels that he has personally stayed in or that he feels are great hotels. 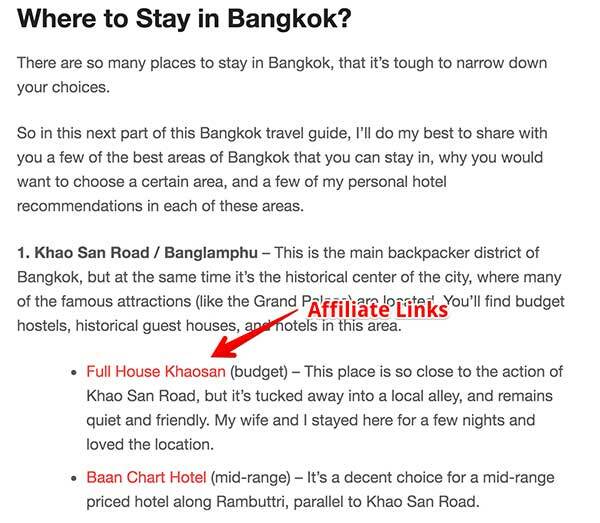 When anyone books a room using any of his affiliate links, he earns a commission. Keep in mind that Mark only recommends products and services that he personally has experience with or that he knows will benefit his readers. That is something that I recommend doing as well. 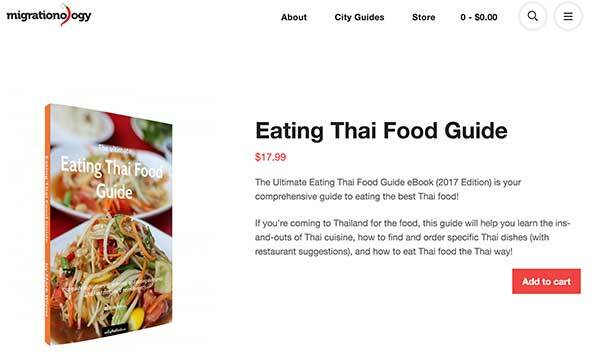 Another monetization method Mark uses is selling his own travel and food guide eBooks. Selling your own digital products is a great income source. In fact, Mark attributes a majority of his online income to the sales of his eBooks. What is awesome about these sales is that it is passive income. He only had to create these guides once and they sell continuously. Since they are digital, he does not have to deal with shipping and handling. Mark obtains freelance work due to his blog. He credits his blog for allowing him to display his expertise on his passion. His blog has provided him opportunities to write for websites such as CNN Travel as well as many other websites, newspapers, and magazines. Getting your own blog is easy and you do not need any technical knowledge to be up and running. I’ll outline what you need to do step-by-step. Your domain name is the URL that people will type into their web browser to visit your website. For example, my website is my name: earthahaines.com. Your domain can be anything you want so long as it is available. I register all of my domain names using NameCheap. I’ve used them for years. You can choose any domain registrar service that you want. Even some web hosting providers will register your domain name for free if you are a new customer. If you are interested in using NameCheap, check out their coupon code website to get a discount on new domain registrations. A web hosting service is what you need in order for your website to display on the web. There are tons of web hosting providers that you can choose from. I have used my fair share over the years but none of them compare to the hosting provider that I use now. A few months back I switched my web hosting to SiteGround. I did some research and many bloggers were recommending the service as they had issues with other hosting companies. 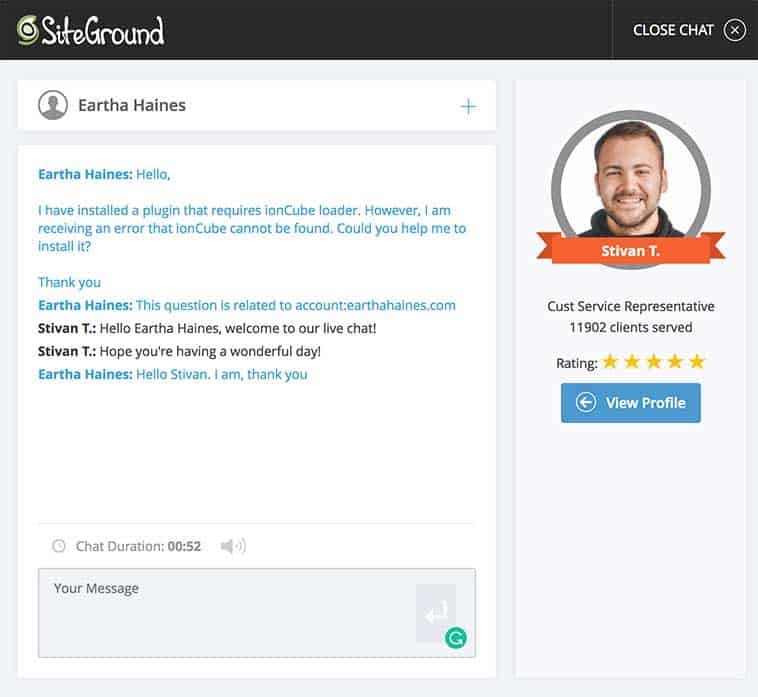 Each time I’ve had to contact SiteGround it has been a pleasant experience and my issues were resolved right on the spot. Each time I’ve clicked on live chat support, someone hops on within minutes. In this most recent request, the customer support representative installed the software that I needed in a few seconds. Whenever I’m able to recommend this hosting company, I do so enthusiatically. I’ve had no hosting issues and their customer support is by far the best I’ve ever experienced. I highly recommend SiteGround web hosting. Updating your nameservers is how you connect your domain name to your web hosting provider. Your nameserver info is provided by your web hosting provider. You should easily find it in your web hosting admin area. If you cannot find it, contact customer support. Let’s say you registered your domain through NameCheap.com. Once you update your nameservers it will take anywhere from 24 to 48 hours for the process to complete. You would then be able to type your domain into a web browser and it will be live. WordPress is by far one of the most popular content management systems being used on the web. I use WordPress for all of my blogs. It is free to download and install. However, do not worry about all of the technical stuff. You can have your WordPress website installed within minutes. Head back over to your web hosting admin area and search for one-click software installation. Starting a blog can change your life. 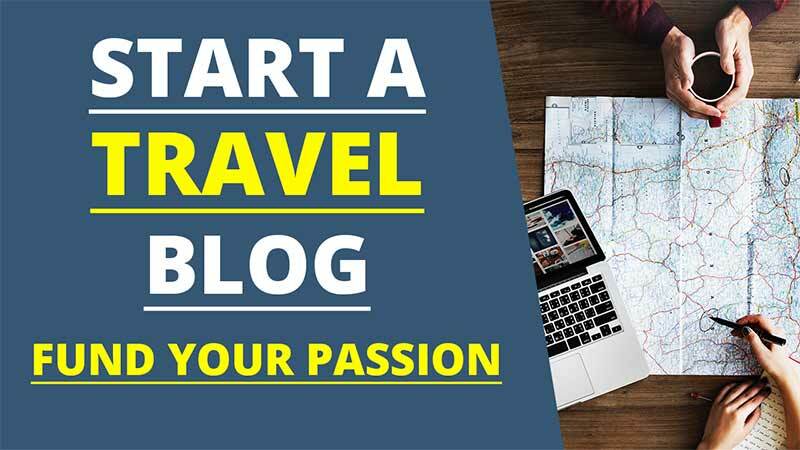 I hope that Mark Wiens’ blogging success has helped to inspire you to start a blog on something you are passionate about as well. 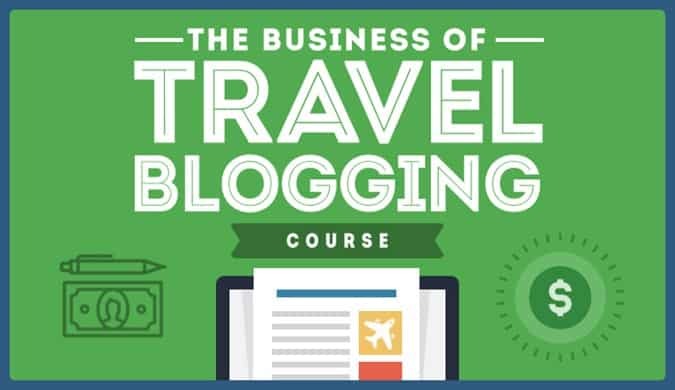 If you are serious about creating a travel blog, check out Matthew Kepnes’ (Nomadic Matt) travel blog course here.